for all our services, including LASIK! To Find Out If You're A LASIK Candidate! 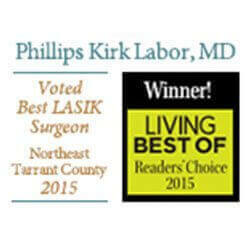 Eye Consultants of Texas founder Phillips Kirk Labor, MD is internationally regarded for his LASIK and cataract expertise. 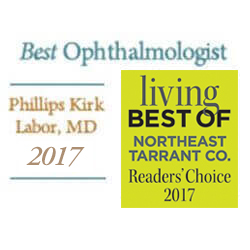 He is also considered one of Dallas/Fort Worth's top ophthalmology specialists today, and has been entrusted to care for many local eye doctors and their families. Our Grapevine location houses the adjacent LoneStar Ambulatory Surgery Center. Uniquely comfortable and state-of-the-art, both facilities advance how we serve patients across a range of specialties. This also means only one location for office visits, testing, exams, and most surgeries. 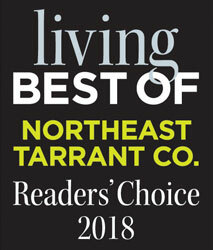 If you have any questions or need to schedule an appointment, call us at 817-410-2030. We want to be your total eye care provider, and you can rest assured we'll do everything possible to make your experience here a positive one. Click below to read what our patients have to say. At Eye Consultants of Texas we provide total vision care for every stage of your adult life. 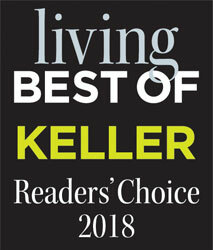 Our innovative approach includes advanced technologies and procedures we've literally introduced to Dallas/Fort Worth. No other practice does more to ensure your safety, and that you're entirely comfortable with your decision. Dr. Labor performs no stitch, no patch, IV-free surgery, as well as laser-assisted with advanced mapping technology. We were among the first to adopt femtosecond technology, the most precise available. In our dedicated LASIK suite, Dr. Labor uses the IFS femtosecond laser to help you see better than ever without glasses or contacts. Our doctors thoroughly assess your health and risk factors to minimize glaucoma-related vision loss. Our goal is to provide the safest, most effective treatment for your particular condition, from simply eye drops to surgery. We diagnose and treat all types of diseases and conditions of the retina, including diabetic retinopathy, macular degeneration, macular holes, macular puckers, and retinal tears. We provide full diagnosis and treatment for all types of corneal conditions. This includes corneal cross-linking to treat keratoconus and corneal ectasia. We provide annual check-ups, as well as exams, screenings and testing for a particular issue. Your vision health and how that contributes to your well-being is as important to us as it is to you. Our advanced lenses are proven to treat all cataract-related vision problems. These include enVista, enVista Toric, Crystalens®, ReSTOR®, Tecnis® and Nanoflex™ for presbyopia, and Trulign Crystalens®, AcrySof® IQ, Tecnis®, and STAAR Toric lenses for astigmatism. A simple evaluation can determine which is right for you. Our oculoplastics surgeons correct a variety of diseases and conditions of the orbit, eyelids and lacrimal system. Procedures are performed at the adjacent, state-of-the-art LoneStar Ambulatory Surgery Center. Diagnosis and treatment of dry eye disease has transformed in recent years. Our unique focus includes thoroughly trained Dry Eye Specialists who customize a treatment plan for consistent, daily relief of your symptoms. A highly experienced cataract surgeon, Dr. Labor chooses the latest surgery options and FDA-approved premium lenses. We keep you informed and comfortable before, during, and after surgery, and ensure your safety throughout. Our goal is to help you achieve your best vision possible and feel great about your decision. Are you a candidate for LASIK? Take this simple test and we'll be in touch to let you know. If you're a candidate, you couldn't be in better hands. Dr. Labor is a highly reputable LASIK surgeon who's performed thousands of procedures, and puts your health and safety above all else. This could be the first step to seeing the world as you never have before. An ophthalmologist, like Dr. Labor, actually performs eye surgeries. 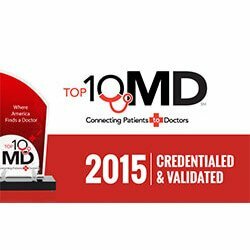 Ophthalmologists earn a medical degree (MD) with a specialty in eye care. An optometrist performs exams, and can diagnose and treat certain eye conditions. Our excellent staff includes both. 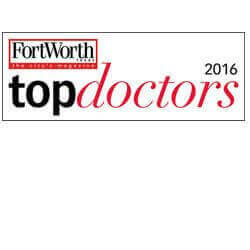 Plus, several of DFW's top independent optometrists regularly refer their patients to us. Electing To Have LASIK Performed? Are You A Candidate? Financing LASIK: More Affordable Long Term?